The new Panasonic GF2. 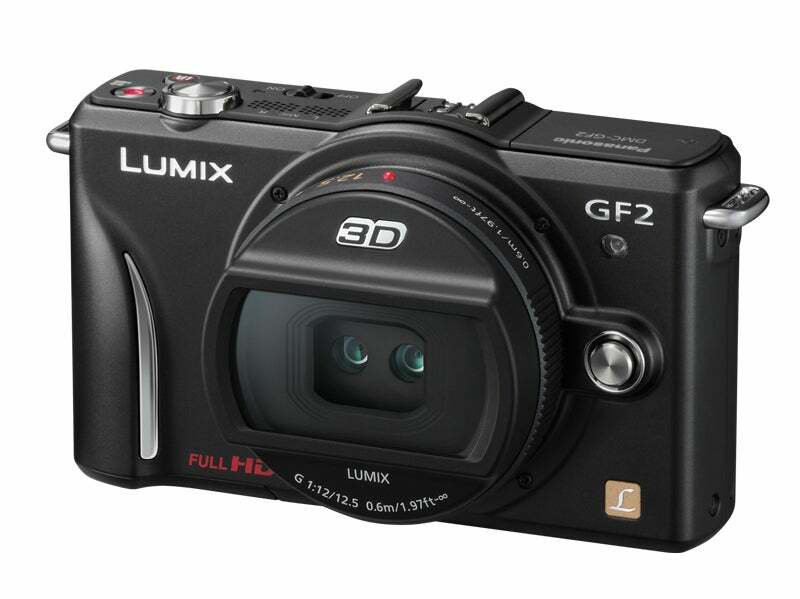 What Digital Camera gets a hands on preview with the latest Lumix G-series GF2 model. 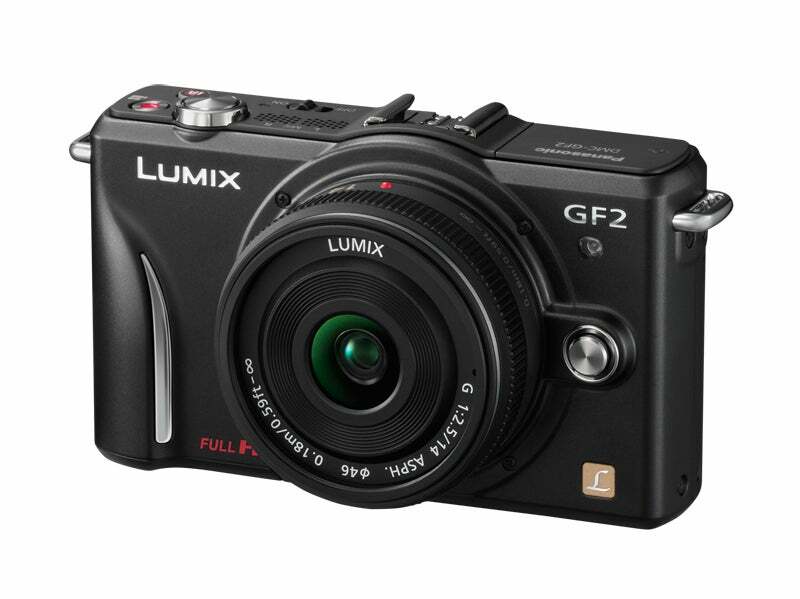 The Panasonic Lumix GF2 builds upon the small, light and compact-like stature of the original GF1. Though, far from physically building up any bulk, it’s actually gone under the knife to bear a redesigned body that’s shed some 19% of its former model’s size and is even 7% lighter than before. That means it can lay claim to be the world’s smallest and lightest Compact System Camera with a built in flash unit. Recent months have seen the release of the G2 and GH2, and the GF2 cherry picks some of the latest features found in these cameras to affirm itself as the latest generation of the Micro Four Thirds range: First up the rear 3in LCD has a touchscreen capability for intuitive use, whether tapping the screen for the touch shutter or quick-adjusting the autofocus area by using your fingers directly on the screen itself. The graphic user interface also has undergone a changeover and now sports a redesigned menu system with larger buttons to ensure more accurate use and response. Next up and the movie mode is now Full HD 1080i, capable of capturing 50 fields per second and outputting from the sensor at 25 frames per second in accordance with UK PAL (the US NTSC release differs 1080 60i, output at 30fps). Stereo sound can be captured from the camera body’s microphone for Dolby Digital Stereo Creator, though there’s no external microphone port in this particular model. The new smaller camera body sees a subtle redesign with a new raised front grip and a more compressed arrangement of buttons to make best use of space. On the top there’s a one-touch button for immediate movie recording as well as a new one-touch intelligent Auto (iA) button that lights up blue upon pressing to show it’s activated. This automated mode can assess the scene at hand and adjust all settings accordingly, though those looking for more control can easily switch into any of the manual modes available. Whichever kit bundle you choose the Panasonic GF2 comes with a 14mm f/2.5 lens (28mm as a full-frame 35mm equivalent). Many other lenses are available and more planned for release in 2011, plus the latest 12.5mm (65mm equivalent) 3D lens can produce 2.2MP images for playback as MPO files on your 3D TV or device. It’s good to see the GF1 get an update and this new smaller-bodied release is actually almost the same size as the high-end compact Lumix LX5. Quite an impressive feat. The camera body itself doesn’t feel too small though and the lenses fit suitably to the body design too – one of the positive sides to Micro Four Thirds models and something that can’t always be said about competitor models and their lens size ratio. Furthermore the sheer number of Panasonic lenses available continues to outdo competitor models andwith three lenses forthcoming in 2011 and more promised for 2012 and beyond the future is looking bright indeed. However the relatively small sensor size is a slight concern for higher ISO performance, especially when considering performance side by side to other models with larger sensors such as the Sony NEX and Samsung NX series. Although the new movie mode may ‘upgrade’ its resolution over the previous GF1 release on paper, there’s always been the ongoing argument that interlaced movie capture (as per the GF2) is inferior to progressive capture (as per the GF1), irrelevant whether capturing 720 or 1080 lines. The truth, as they say, is in the pudding and without a full release model available we can’t accurately test one against the other. However, with the inclusion of the latest Venus Engine FHD, the processing is ample enough to deal with more data for faster processing times and this should make for a better sustained movie capture bit rate (though this may be capped) and, with the right SD card slotted into the camera, faster buffer clear times when burst shooting stills. The Lumix GF2 feels like more than just an updated GF1 thanks to the redesigned body. The tweaks to the user interface make the touchscreen even more accessible although, it has to be said, this format of control may not be to everyone’s preference if it’s not always going to be employed (using the buttons is possible for all operations so at least all bases are covered). All these smaller details coupled with the more major updates show significant progression for the Lumix G-series and ongoing dedication to the Micro Four Thirds format.